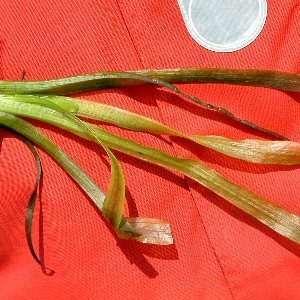 An aquatic plant with leaves of two sorts: submerged leaves are ribbon-shaped; leaves which emerge above water develop the characteristic arrow-head shape. Flowers are pale pink in a spike. 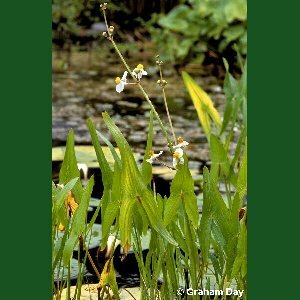 A rather local plant of some lakes, canals and rivers, mainly the River Lagan, the Upper and Lower Bann, Newry canal, Lough Neagh and the Erne basin. 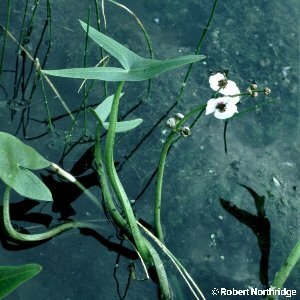 All names: Sagittaria sagittifolia L.